Congratulations Senator Elect Marlon Kimpson! 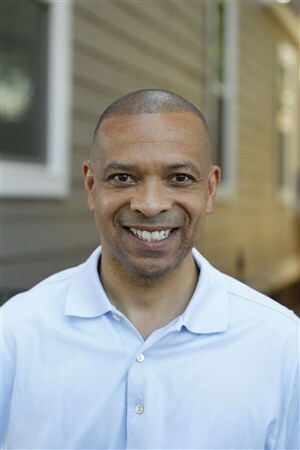 State Sen.-elect Marlon Kimpson credited many people for his landslide win Tuesday — his wife and family, his campaign staff, advisers and volunteers, Democratic leaders — and tea party Republicans in Congress. Family: Wife, Kimberlyn, one daughter. Occupation: Lawyer with Motley Rice. Previous public service: Former first vice chair of S.C. Democratic Party; former chairman of the State Election Commission. That might sound strange coming from Charleston’s newest Democratic lawmaker, but Kimpson thinks last week’s government shutdown helped push his vote toward 80 percent. Kimpson will be sworn in Monday to the seat formerly held by Robert Ford, the veteran Democratic senator who resigned in May amid ethical and health problems. And while Kimpson has several ideas for how state government should improve public education, health care, organized labor and the environment, he said his immediate goals are to learn the Senate’s rules, learn his committee assignments and study the bills pending in those committees. When Kimpson spoke to more than 100 supporters on election night, he recalled his father’s humble upbringing in rural Calhoun County. Kimpson was born in Columbia and grew up there, within sight of a public housing project. He graduated from Morehouse College and worked as a banker before going to law school and joining the Lowcountry’s large plaintiff’s firm, Motley Rice. Charleston County Democratic Chairman Richard Hricik said Kimpson’s rise from humble beginnings is part of his political appeal. Hricik gave an unusual boost to Kimpson during his Democratic primary battle, mainly by frequently pointing out that Kimpson’s main opponent, former Charleston City Councilman Maurice Washington, had as much history with Republicans as Democrats. Kimpson said he is not familiar with Alger, a 19th century American author who wrote stories about boys rising from poverty to great success, but said his family’s story resonates with voters in the district. To say Kimpson was not Ford’s hand-picked successor is understating things. Ford actively backed Washington during the Democratic primary, and made a last-minute endorsement of Kimpson’s Republican opponent, Billy Shuman, just days before Tuesday’s election. Kimpson and Ford clearly clash on one issue — the idea of providing vouchers or tax credits to parents who send their children to private school. Ford was open to the idea; Kimpson is not. And where Ford had expressed support for legalizing forms of gambling, such as video poker, to raise state revenues, Kimpson has not gone there. But he did draw an oblique comparison, noting that he has a full-time job. Ford, who had no other job outside his senate position, ultimately was found to have misused his campaign donations for personal expenses. Kimpson’s election Tuesday makes him one of Charleston’s highest-profile African American politicians. At his relatively young age, 44, some will surely throw his name in the mix for higher office, but Kimpson said that all can wait. “I have not thought of anything beyond the state Senate,” he said. Sen. Gerald Malloy, D-Hartsville, said he has known Kimpson for almost 30 years, and both are members of the Omega Psi Phi fraternity. “That’s a big deal to folks in the community,” Malloy said. Kimpson felt strongly enough about his fraternity that he used its purple and gold colors and four stars — which represent manhood, scholarship, perseverance and uplift — on his campaign signs. Malloy said he liked Ford, and he expects Kimpson, like Ford, will represent his constituents, a group that includes much of metro Charleston’s African-American population. After the election, Sen. Paul Thurmond, R-Charleston, called to congratulate Kimpson, who went to law school with Thurmond’s brother and who works with one of Thurmond’s friends from law school.